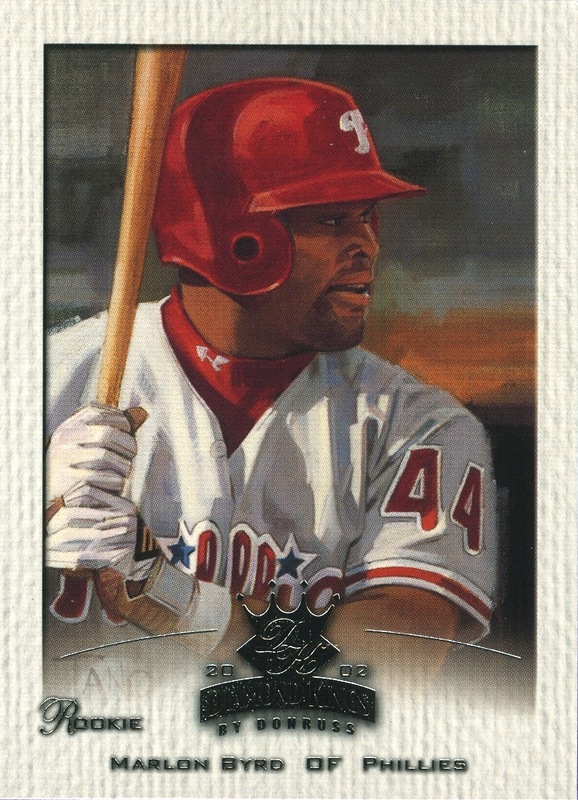 Additional Information/14,000 Phillies Commentary: The penultimate Victory issue, which in retrospect was really a continuation of the Collector’s Choice brand under a new name — I never did understand why Upper Deck engaged in this particular rebranding. 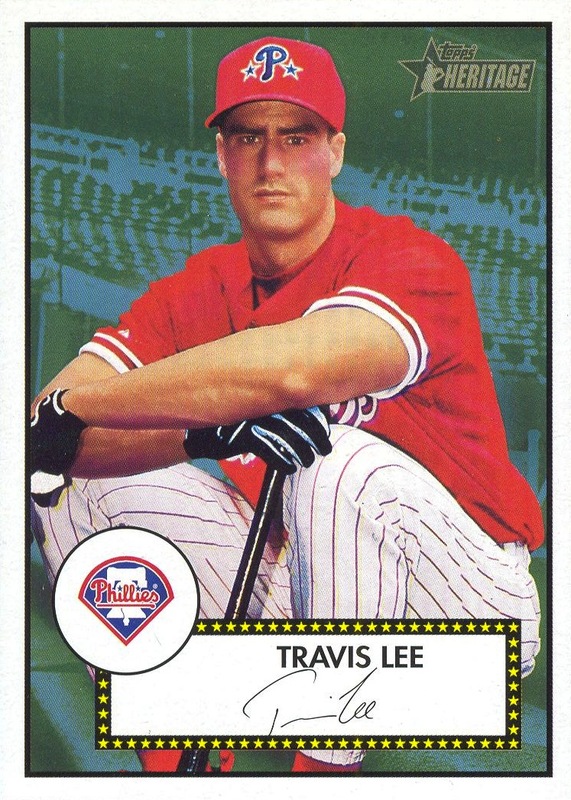 It’s a nice, solid, unique low-end set (as opposed to the Topps Opening Day sets, which Topps puts almost no effort into really differentiating from the flagship brand), and it’s a shame we really don’t see sets like this anymore. 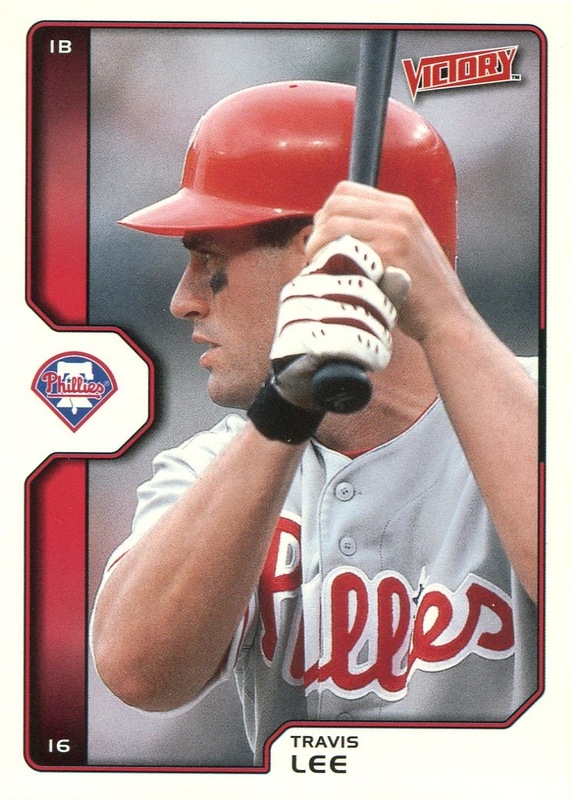 The last 110 cards in the set (cards 551-660) were distributed in Upper Deck’s multi-brand 2002 Rookie Debut packs, which also included updates to Honor Roll and Ovation, as well as new inserts. 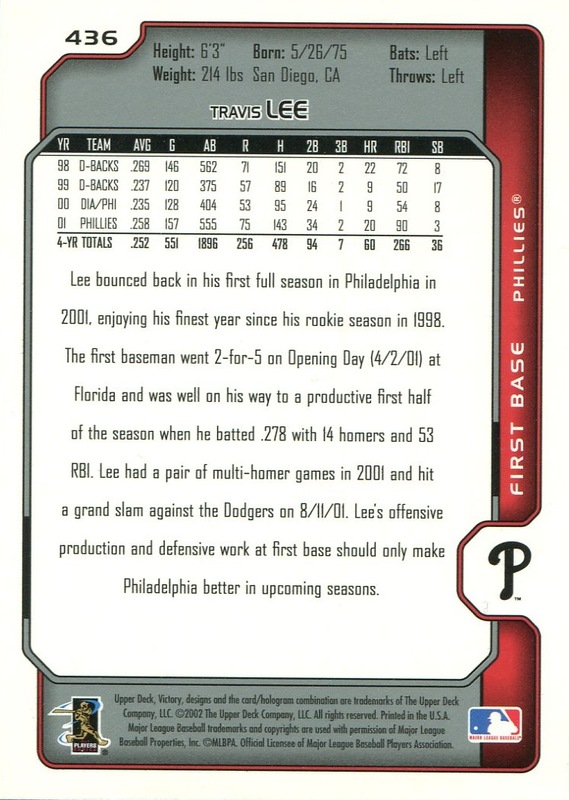 However, there was no actual 2002 Rookie Debut set, so those inserts are associated with a set that doesn’t actually exist. Furthermore, the updates included updated cards for veterans/non-rookies, thus making the “Rookie Debut” name quite the head-scratcher.